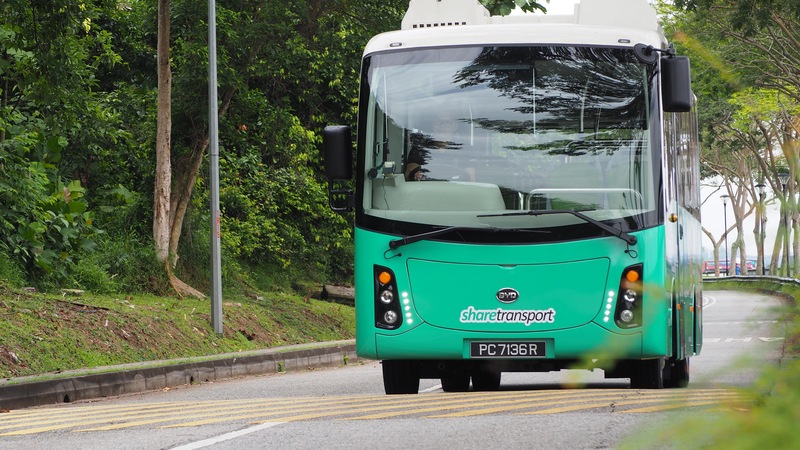 Singapore, 12th July 2018 – ShareTransport, a subsidiary of Commute Solutions Group officiates and begins trial for Singapore’s First 100% Electric 24-Seater BYD Electric Bus, BYD C6. It is the first of such collaboration between BYD (Build Your Dreams) Singapore and a local bus-pooling provider, ShareTransport. The ribbon cutting ceremony took place in conjunction with ShareTransport’s new office opening, which was held at Mega@Woodlands. Singapore has seen an increasing trend of adoption of electric vehicles mainly on taxis and public buses. The initiative came when a thought of increasing the number of electric private buses sprang to managing director Mr Pang Kok Leong: “ How about the large volume of mini private buses in Singapore? We are talking about the thousands of private and mini buses in Singapore ” he added. Based on Singapore’s Annual Vehicle Statistics 2017, there are close 20,000 private bus vehicles in Singapore. Private bus-pooling provider, ShareTransport Singapore would also like to contribute our share to a sustainable and emission free environment. This bus will be on trial for a period of 1- year. The success may also contribute to mark the start of electric buses as a choice of fleet for many existing operators. ShareTransport Commuters can expect a more pleasant travelling experience as the BYD C6 promises a quiet in-cabin ride, contributing to a relaxing journey to work. Coupled with smooth acceleration, it enhances driver’s experience on uphill with auto parking assist. This bus can go up to a range of 200KM on a full charge. Free passenger USB charging port will also be included for commuter’s added convenience. Bus pooling in Singapore stands between public transportation and private hire services that makes an attractive alternative for commuters striving for more work-life balance with planned commute to and fro home and office. The bus-pooling concept has continued to grow despite the expansion of the rail network. It gives a positive indication that a bus pool is continuing to be an efficient mode of transportation that greatly reduces carbon footprints by lowering the usage of cars, and at the same time providing a fuss-free and direct ride with a guaranteed seat without having the need to transfer with the similar experience of a car ride. The introduction of the 100% electric 24 seater bus will take a step even further to zero emission. The BYD C6 bus is set to be operating ShareTransport’s bus route JS1. This bus transports commuters from pickup points near Corporation Dr to drop off points along Shenton Way. 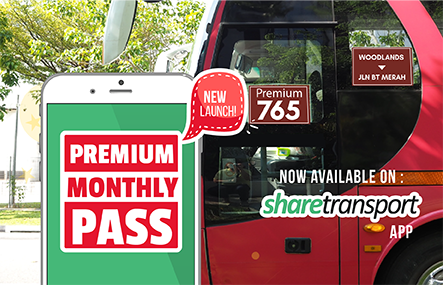 Both Daily and monthly passes are available for purchase on the ShareTransport’s mobile app. 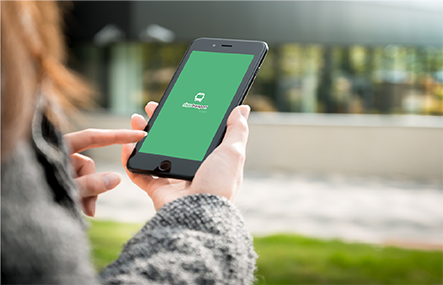 For any Commute solutions and Sharetransport enquiries, please contact Justin Lee at +65 6734 0147 or email: justin_lee@commute-solutions.com.sg.